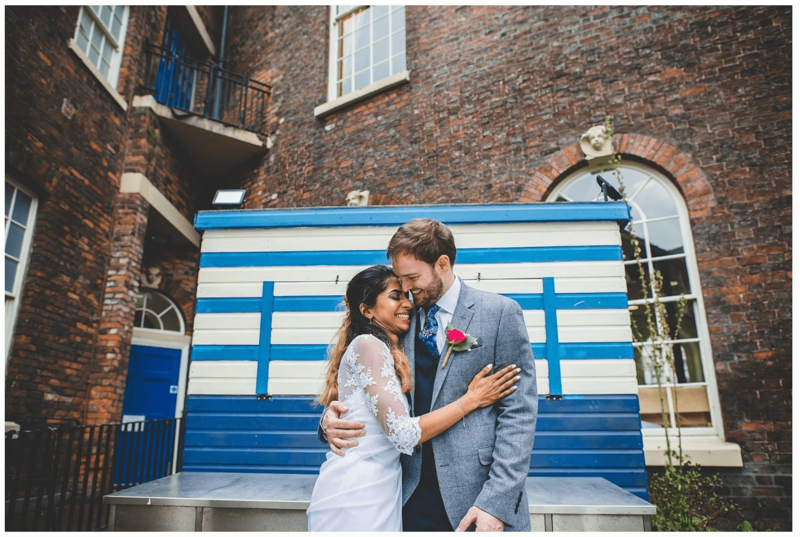 Earlier this week we caught up with Bluecoat and chatted all things weddings with them. We love the city centre venue with it’s multitude of rooms, gorgeous photo spots and tonnes of history. Bluecoat has such a stunning exterioir! Can you believe this is hidden right in the heart of the city?! The upstairs resturant is lovely and bright! The perfect setting for your wedding breakfast. There’s lots of interesting and hidden corners around the Bluecoat which are perfect for photo opportuniutes. We love all the blue doors! The performance space is so unique! Great for both receptions and ceremonies! Their outside courtyard areas are great for drinks receptions and photo opportunities! It really is such a unique and versatile wedding venue! Have you visited yet? Capture VR have created this fab virtual tour so you can take a look around without even leaving your sofa! We’ve got even more inspiration over on our Pinterest board! Thanks to all the suppliers and photographers who shared photos with us, we’ve loved seeing all these fab images from weddings at Bluecoat!